We teach an authentic expression of yoga with a transformational approach, honoring a diversity of practices and belief systems. Our program is based on the principle that yoga is a unifying tool for creating health, well-being and a deep spiritual connection. We provide structure, yet educational freedom, so all may find their own truth, while incorporating a ‘living yoga’ approach to their lives. Begin your holistic healing journey as a yoga instructor. Create health, well-being and a deep spiritual connection with your clients. SWIHA’s Unity Yoga Teacher Training provides structure, yet educational freedom, while incorporating a living yoga approach. Earn your 200-hour teacher training certificate independently, or explore yoga with a combination of career-expanding holistic programs and specialties such as Massage Therapy, Holistic Nutrition or Aromatherapy. Completed in just over 4 or 7 months, this program is designed to support all who wish to deepen their personal spiritual connection through learning to master the principles and practice of Yoga. You may also be seeking this foundational yoga education in order to deepen your own personal practice or to share yoga with your own children, parents, friends and family. Some individuals find life-enriching volunteer opportunities bringing yoga to communities that can deeply benefit from the practice. Whatever your goals are, this program provides structure along with educational freedom so you may find your own personal paths to incorporating and expressing ‘living yoga’ in your life. In the final weeks of training, you (yoga teacher-to-be) are able to design and be coached through teaching actual studio classes, giving you the unique opportunity for hands-on yoga teacher training to groups. If you wish to go further, this program prepares you to continue to the Advanced Yoga Teacher Training program where you can expand your yoga education and solidify your readiness to step into to the seat of the teacher. 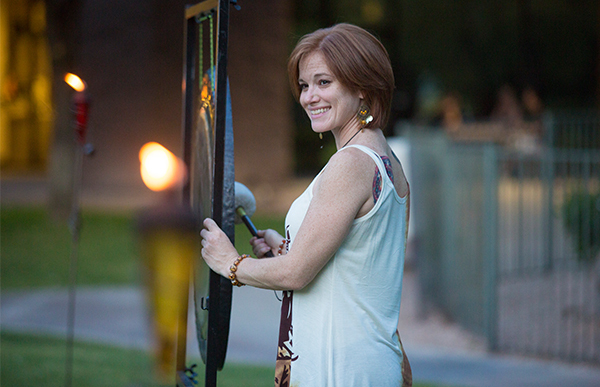 With advanced training you can broaden your career options into yoga therapy, personal yoga coaching, yoga studio coordinating, creative yoga presentations, hosting workshops, special class series and retreats, creating unique yoga products, and more. This program builds upon our Yoga Alliance approved 200-Hour YTT program. Whether you have completed our 200-hour YTT, or completed a Yoga Alliance approved 200-hour program elsewhere, you are welcome to enroll in one of our advanced programs. This 600-hour program is designed for students planning a lifestyle involving many areas of yoga and prepares students to teach to groups or individuals. You will complete six additional yoga-specific advanced courses, 100 hours of yoga-specific electives and a 100-hour primary specialty of your choice. The goal of this diploma program is for aspiring yoga teachers to deepen and strengthen your yoga teaching ability as well as choose a specialization that will widen employment options and expand the way you are prepared to serve in the world. Completed in just over 12 months and includes over 400 hours of advanced and transformational yoga training, 100 hours of a yoga-centered primary specialty, and 80 hours of electives. For those who are diving deep into an all-encompassing yoga career, this in-depth yoga education prepares you to expertly teach to groups and includes a therapeutic specialty that allows for one-on-one work with clients. You will be required to complete six yoga-specific advanced courses, and are given the opportunity to take an additional 300 hours of electives plus a 100-hour therapeutic specialty. The therapeutic specialty brings in layers of powerful holistic modalities such as Polarity, Reiki, Life Coaching with Nutrition, Yoga Nidra, Reflexology or Aromatherapy enhancing the yoga teacher’s tool kit. Completed in just over 16 months and includes over 400 hours of advanced and transformational yoga training, 200 hours of a yoga-centered primary specialty, 200 hours of any combinations of electives, safety and entrepreneurial training and specialty courses. Develop the tools necessary to expand your skills to expertly teach in a studio setting. Choose a combination of 100 hours of electives to add a personal touch to your practice, based on your unique interests. Add a healing element to your art through such courses as Aromatherapy: Intro for Yoga Teachers, to enhance any style of yoga with essential oils. Restorative Yoga will teach you how to help students deeply relax and restore vital energy, necessary to living a whole and balanced life. And in Yoga for PTSD, you will learn to define and recognize the difference in the behavior presented by those experiencing post event stress. The Amrit Method of Yoga Body Psychology is designed to treat visible physical symptoms and the invisible mental and emotional blocks that contribute to them. Using gravity supported, static poses held by the facilitator, or with the use of the wall or props, you will learn how to surface and release blockages held in the body. Enhance your understanding of the energetic aspects of yoga and how to use it for yourself and others as one of the most profound healing modalities you will ever encounter. 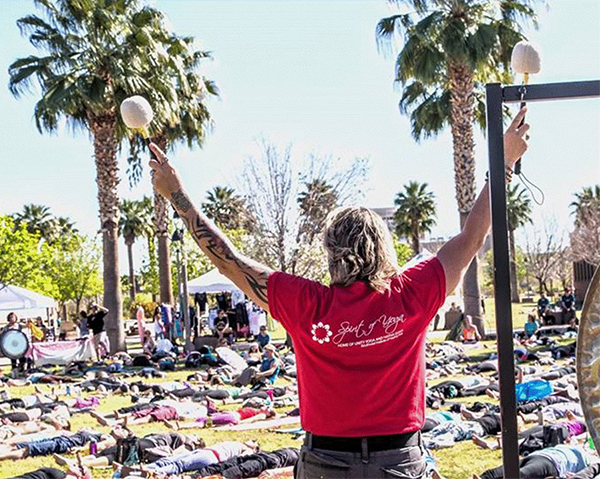 SWIHA’s Yoga Nidra 100-Hour program will teach you an ancient yoga practice that is becoming immensely popular in the West. Yoga Nidra brings the body and mind to a deeply relaxed state in order to access healing, stress-release and well-being. This practice powerfully and holistically helps your clients with physical, neurological and subliminal needs. Learn from world-renowned instructor Kamini Desai, who incorporates Western psychology with Eastern Philosophy to bring you this sought-after therapy. Fitness workers such as yoga teachers lead, instruct, and motivate individuals or groups in exercise activities, including cardiovascular exercise, strength training, and stretching. As yoga becomes more mainstream, yoga teachers are working in yoga studios, Pilates studios, health clubs, country clubs, hospitals, universities, resorts, and clients’ homes. Increasingly registered yoga teachers are found in workplaces. Employed by companies for the physical well-being of their employees, yoga teachers organize and direct health and fitness programs for employees of all ages. 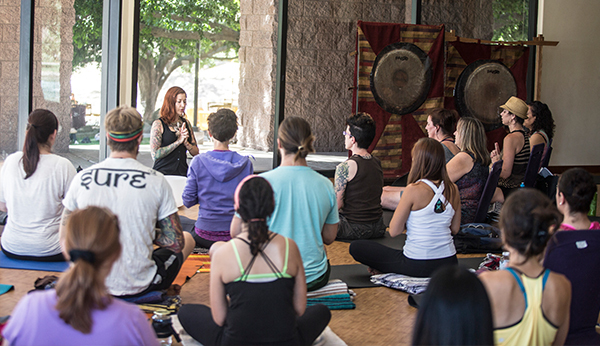 SWIHA is unique in being one of the very few nationally accredited schools offering the option to take a YTT program independently or along with additional career-expanding holistic programs such as Massage Therapy. Our programs are state-recognized and nationally accredited. We invite nationally and internationally-respected yoga teacher trainers and Yoga-related teachers as guest presenters in addition to our dedicated, exceptional, and accomplished instructors who are actively practicing in the holistic wellness or healing arts field. We offer hands-on yoga teaching experience towards the end of your program. Personal and professional healing and growth are emphasized, with the goal being to prepare individuals to move toward gainful employment or entrepreneurship, achieving spiritual and financial stability. Becoming a successful yoga teacher involves more than completing a training program and obtaining accreditation. To support graduates, SWIHA offers a full-service Success Center, where all graduates receive a life-long commitment of job placement assistance, entrepreneurial and career coaching, resume guidance, and full licensing support. Having earned a degree or certificate that qualifies a graduate to teach yoga creates tremendous opportunity for either employment or independent practice. This is an important consideration for those looking to teach yoga, as employment and independent proprietorship both have their respective pros and cons with regard to the investment of time and personal resources, as well as the ultimate financial return on that investment. Unity Yoga teaches an authentic expression of yoga with a transformational approach, honoring all diverse practices and belief systems. Our program is based on the principle that yoga is a unifying tool for creating health, well-being and a deep spiritual connection. We provide structure with educational freedom, supporting students as they find their personal paths while incorporating living yoga into their lives. SWIHA’s Yoga Teacher Training program is presented at Spirit of Yoga, its premier yoga education facility and yoga studio. 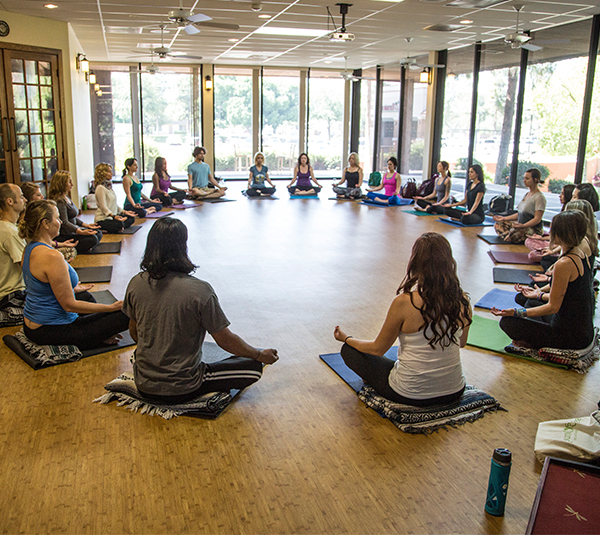 Located on beautiful, park-like grounds in Tempe, Arizona, Spirit of Yoga is a sanctuary for those practicing and learning the art and science of yoga. Yoga Teacher Training as well as regularly scheduled community yoga classes are held in its three spacious, beautifully appointed studio spaces. In the final weeks of training, yoga teachers-to-be are able to design and be coached through teaching actual studio classes, giving them the unique opportunity for hands-on yoga teacher training to groups. Want to know more about what makes SWIHA unique? Visit Spirit of Yoga’s website to view all of our options for electives including Yoga Nidra! Are you interested in Yoga Teacher Training? Are you unsure about signing up for the full length of the program? At SWIHA, we are so committed to helping you achieve your dream, we invite you to sit in on the first 4 hours of any introductory class before you decide whether to enroll.